Located in the heart of Altona, this hotel is within 1 mi (2 km) of Altona Mall and Gallery In The Park. Oakview Golf Club is 6.5 mi (10.5 km) away. I like that they offer a swimming pool plus free breakfast. Very friendly staff and easy location for commuting between Winkler and Morden. Rooms were large and clean. My friend stayed in poolside room and said it was very noisy even after the pool closed as people sat and visited in the area until quite late. Where to find Winkler hotels near an airport? Where can I find hotels in Winkler that are near tourist attractions? 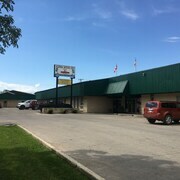 There are not many Expedia-listed lodgings in or around the heart of Winkler, so make sure to book long before your planned trip if you'd like to stay in a centrally located Winkler hotel. 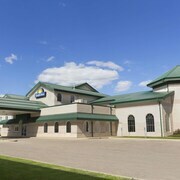 A convenient option if you prefer to stay near the middle of Winkler, is the Quality Inn Winkler. Just because you're on vacation, doesn't mean you can't indulge in your love of sporting events. You will find MTS Centre 95 kilometres (61 miles) to the northeast of Winkler. 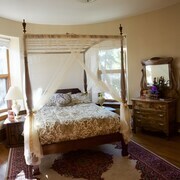 If you are keen on booking accommodation nearby, make a reservation in the Inn At The Forks or The Fairmont Winnipeg. 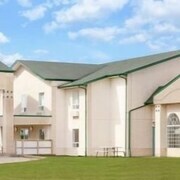 Situated 95 kilometres (59 miles) from Winkler is Winnipeg International Airport. Stay nearby at Four Points by Sheraton Winnipeg International Airport or Clarion Hotel & Suites. Are there hotels in other cities near Winkler? 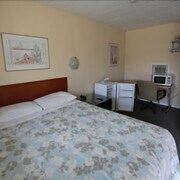 What other types of accommodations are available in Winkler? Explore Winkler with Expedia.ca’s Travel Guides to find the best flights, cars, holiday packages and more!